“Mommy, can I help?” I took a deep breath when I heard those words. I just wanted to be finished, and I hadn’t even started…. 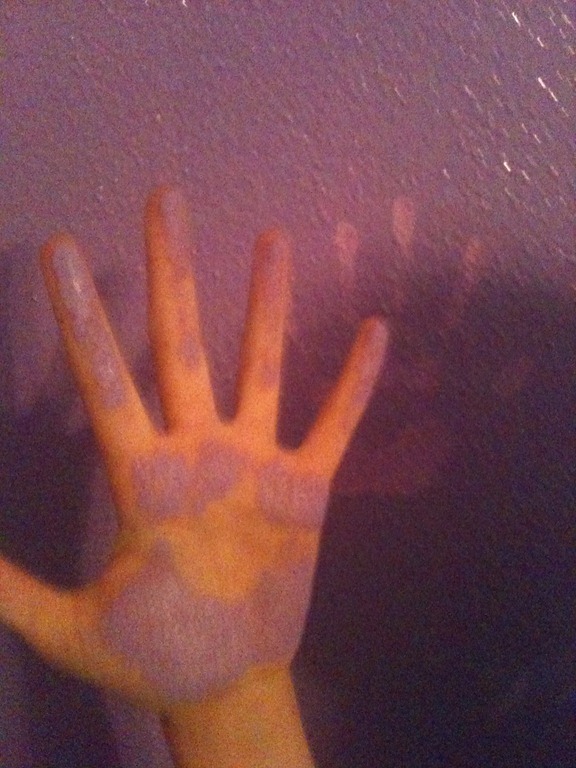 I was painting my daughter’s room. I had promised to do it a long time ago; my mom had promised my daughter that she would visit over Mardi Gras break and help me. Then, in January, my mom died. I couldn’t avoid it. I didn’t want my daughter to feel sad because grandmommy wasn’t here. I didn’t want to feel sad because she wasn’t here. I just wanted to get it done. I contemplated how to answer – how could I tell her I just needed to finish, I just needed to finish quickly and if no one was in my way I would be able to finish by dinner? I took another deep breath, and began to answer, but I saw her face. She could tell what I was thinking, and I could see the beginning of disappointment. I stopped myself from speaking. I wondered, “What would mom have done?” Mom would have let her help. It would have been something they could do together; it would have been fun. Could I make this fun? Now? With the loss of mom so fresh? “Okay. Sure; let’s see how we can get you to help.” I then set about to figure out how to work efficiently. “I want to use the roller,” she quickly offered. Another sigh… she doesn’t have the strength to use the roller, I thought. Before I could say anything, my son chimed in, “Ooh! I want to help too! !” I couldn’t say no, but how in the world would I make it work? A job that I thought would take barely a day was now going to take three days and all I wanted was check it off the list of things to do! “Okay, I said, here is the roller; here is the brush. Let me show you what you do.” They both beamed; I showed my daughter first, and then my son, and then we painted. I did the edges, my son did the space between the edges and the corners, and my daughter did everything on the wall she could reach. Did we finish by the end of the day? No. Did we have fun? Yes. 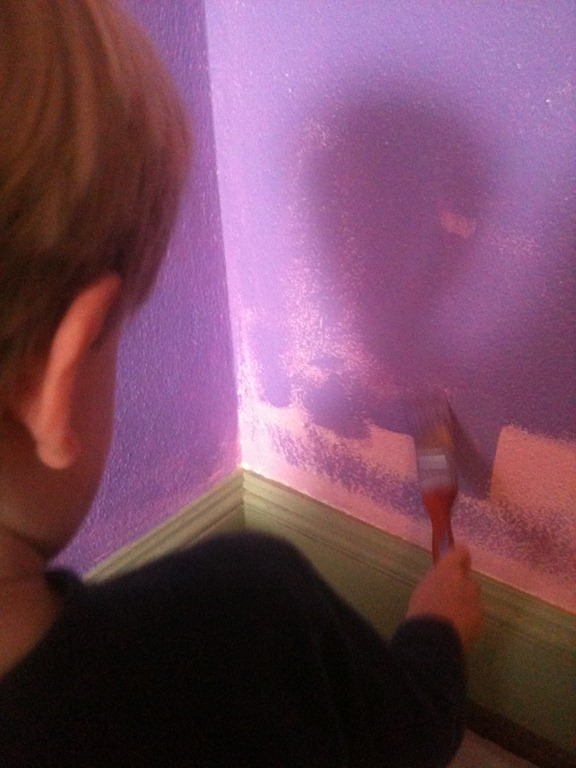 Did my kids learn a lot about painting a room and about the value of hard work? Yes. As we navigated through the day, I saw the gift in the day. We were happy, together, fulfilled. Our time together reminded me that the only way to truly learn is through experience. My daughter learned that you have to put a lot of pressure on the roller for the paint to go on the wall smoothly; my son learned that when you dip the brush in the pan, you have to drag it a bit so that you don’t have tons of paint on the end of the brush and have it drip everywhere; we all learned that if you put your hand on a wet wall your hand gets paint all over it; I learned to give up on plans and get out of the way of learning. As they adapted to each lesson, I began to think about teaching. How many times in the past have I worried more about the timing of the lesson than the experience of the learning? How many times have I gotten in the way of learning because I had a to do list to finish? It hit me – Any time I push through a set agenda that has to be completed, I stifle learning. I need to find more ways to allow my students to “paint” with me. What do my students gain when I let them “take over”? The same things my children gained when I let them paint with me – confidence, knowledge (about themselves and the material), ingenuity, resilience. I have changed a lot in the last 12 years as a teacher, and my painting experience with my children reminded me of that. The experience also reminded me that I still have room to grow. I admit it – I sometimes slip back into focusing on time and the pressures of finishing a unit before some forced break – holiday, quarter end, etc. My rigidness can sometimes rear it’s ugly head, and I must vigilantly put it in its place. We finished the room. In reality, they lost interest on the second day, which sped up the process. The fact that it took a bit longer, however, is NOT my focus. 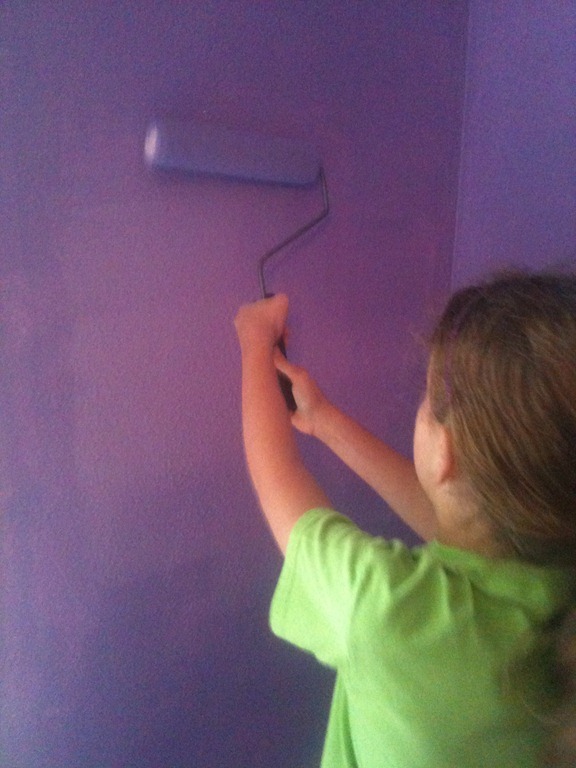 My focus IS the look on my daughter’s face every time she walks into her room since WE painted it – pure joy. What do you think? How do you get out of the way of learning in your classroom? I think you nailed the main constraint that teachers battle with and that is time-we always want more as we try and hurtle through curriculum.It’s hard not to bring the pressure we feel into the classroom with us. I like the idea of inviting students to “paint” with us, it suggests all that you alluded to-hard work, collaborative creation and deep satisfaction!